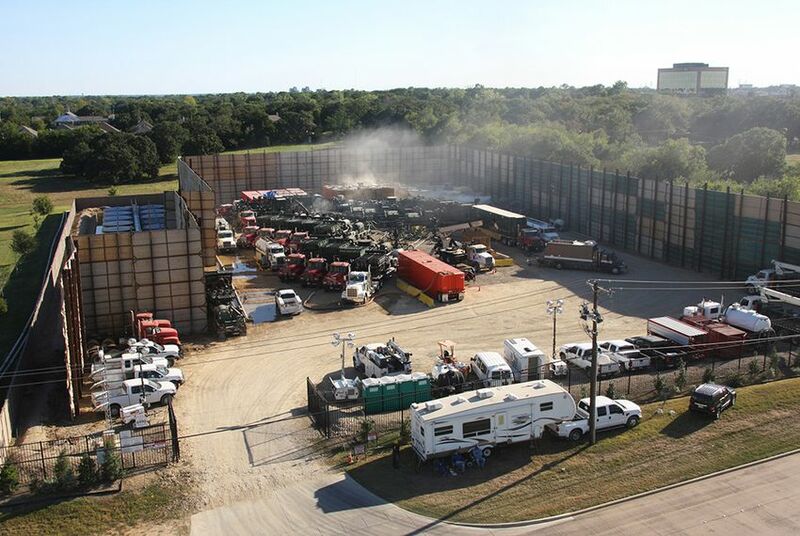 UPDATED: A natural gas producer is suing the city of Dallas, after the city denied the company drilling rights to mineral interests it had leased. An oil and gas producer is suing the city of Dallas, which denied the company drilling rights to mineral interests it leased from the city. In a press statement issued Thursday afternoon, the city said the lawsuit "lacks merit." "The city will vigorously defend its right to exercise its regulatory powers to protect public health and safety as well as the environment," the statement said. Those who have pushed for tighter drilling rules in Dallas also criticized the lawsuit, and they accuse Trinity East of trying to undermine the civic process. Dallas leased some 3,600 acres of mineral interests to Trinity East in August of 2008, netting more than $19 million in bonus payments. The same day, according to the complaint, Dallas City Manager Mary Suhm signed a letter to Trinity East officials saying she was "reasonably confident" that the company would obtain the rights to drill on one particular tract of city parkland, and that city staff would "use its reasonable efforts" to place the matter before the City Council, which has the ultimate power to issue the permits. The company said it would not have signed the lease without such assurances. But the letter also said it was not a "legally binding agreement" and that city staff "could make no guarantees" that city council would approve the permits. In March of 2013, after years of contentious debate about the company’s drilling rights and Dallas’ drilling regulations, the council denied Trinity East the permits. The City Council cemented that decision five months later after the company appealed. Trinity East was one of three companies that originally leased Dallas land for drilling, but it was the only one that stuck around as the city considered the tighter rules. In December 2013, Dallas tightened its ordinance, which, among other provisions, now requires a minimum 1,500-foot setback between “protected use” areas like homes, businesses and churches and new rigs and compressor stations. The setback is five times the previous buffer and matches a requirement in the suburb of Flower Mound that is the strictest in North Texas. In the lawsuit, Trinity East said it invested more than $30 million planning the project and that its inability to drill on the land likely cost it hundreds of millions of dollars over the wells’ lifetime. The company is asking the court to rule that it has suffered “inverse condemnation or regulatory taking,” and that the city breached its leasing agreements and “committed fraud and/or negligent representation.” The lawsuit asks for damages "in excess of the minimal jurisdictional limits" of the court. In an interview, Fort said that amounts to hundreds of millions of dollars. “This has a dramatic impact on a lot of people,” Fort said. “The biggest losers," he added, are Dallas residents who would have earned royalties from private mineral leases. "After conducting public hearings, both the City Plan Commission and the City Council rejected Trinity East’s applications, finding that the proposed locations were inappropriate for drilling and production operations," the city said. "Trinity East never pursued any other zoning permits to drill within the leased property, nor did it apply for any zoning permits to drill near the leased property so that it could use horizontal drilling techniques to try to obtain oil and gas." It’s an open question how much money the driller — or the city, which was guaranteed royalties amounting to 25 percent of the value of any gas extracted — could reap from the Barnett Shale, which runs underneath the city's western outskirts. Low natural gas prices have slowed drilling throughout the region, and some experts are skeptical about how much gas could be tapped beneath Dallas. Trinity East's critics say a mineral lease does not guarantee a company the right to drill. And they point out that the city manager’s assurances about the permits were not legally binding. "Legally, they don't have a leg to stand on," said Jim Schermbeck, director of Downwinders at Risk, a local group that advocates for clean air.